Matthew 28:2 And, behold, there was a great earthquake: for the angel of the Lord descended from heaven, and came and rolled back the stone from the door, and sat upon it. Matthew 28:5 And the angel answered and said unto the women, Fear not ye: for I know that ye seek Jesus, which was crucified. Matthew 28:10 Then said Jesus unto them, Be not afraid: go tell my brethren that they go into Galilee, and there shall they see me. 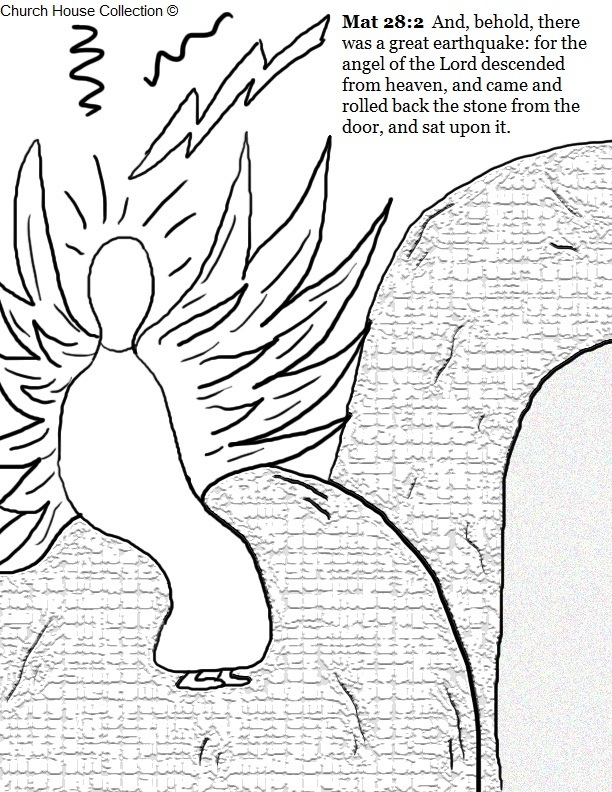 This is a free Angel sitting on the tomb door coloring page for Easter. 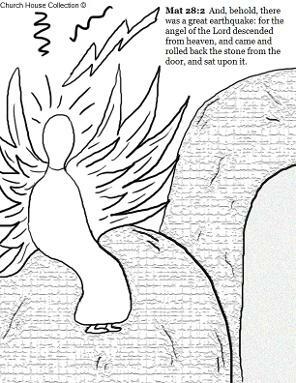 The scripture is from Matthew 28:2 -And, behold, there was a great earthquake: for the angel of the Lord descended from heaven, and came and rolled back the stone from the door, and sat upon it. We have more Easter Coloring Pages for Sunday school along with Easter Sunday school lesson plans for children's church. We also have Easter Crafts, Easter Clipart, Easter snacks and more for your Sunday school needs! Go check it out and print out what you need!